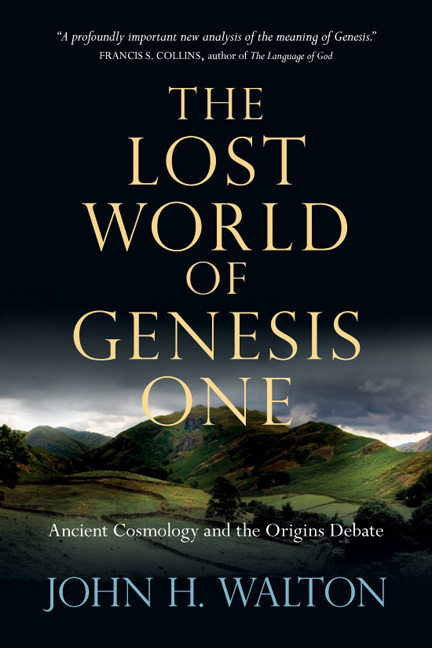 In this fourth and final post in my series reviewing John John Walton’s book The Lost World of Genesis One (the series begins here), I will address some remaining concerns and then draw some conclusions. The two verbs are actually used this same way, as synonyms, in the opening creation account: God says, “Let us make mankind in our own image,” and the account then reports, “God created mankind in his own image.” So not only should we understand asa’ as meaning “make,” we should understand the creation of humanity, and the rest of the cosmos, as a material creation. So I do have some significant concerns about Walton’s overall interpretation of the Genesis account and his use of specific features within it to support that interpretation. Nevertheless, as I said at the beginning of this series of posts, I find that we are ultimately on the same side of the debate about the respective roles of religion and science. Walton specifies that he did not develop his interpretation as a way of resolving the conflict that can arise between religion and science when Genesis is taken as an authoritative literal description of God creating the world in a short time very recently. He explains that his interpretation comes instead from his research into ancient Near Eastern culture and his careful examination of the biblical text. Nevertheless, Walton finds that his interpretation does have implications for the “origins debate”: “If the seven days . . . concern origins of functions not material, then the seven days and Genesis 1 as a whole have nothing to contribute to the discussion of the age of the earth. . . . If there is no biblical information concerning the age of the material cosmos, then, as people who take the Bible seriously, we have nothing to defend on that count and can consider the options that science has to offer” (94–95). I would say much the same thing, except on different grounds. In the understanding that my co-author and I explain in Paradigms on Pilgrimage, the opening creation account in Genesis does describe the material origins of the universe, however, it does so from an observational perspective. And this is true not just of the cosmology in the account, but also of the chronology in the account. As we say in our book, creation is a product that looks compellingly like “six days’ work” to an earthbound observer operating within an ancient cosmology: “Three divisions: day and night, sky and sea, then the land. Three populations: of day and night, of sky and sea, and then of the land.” But there is also a seventh day of rest and worship, showing that there is meaning and purpose in this ordered creation. Specifically, it is the handiwork of God. So our commitment in Paradigms on Pilgrimage is much the same as Walton’s commitment in The Lost World of Genesis One: We seek to read and understand the text the way its ancient original audience would have. 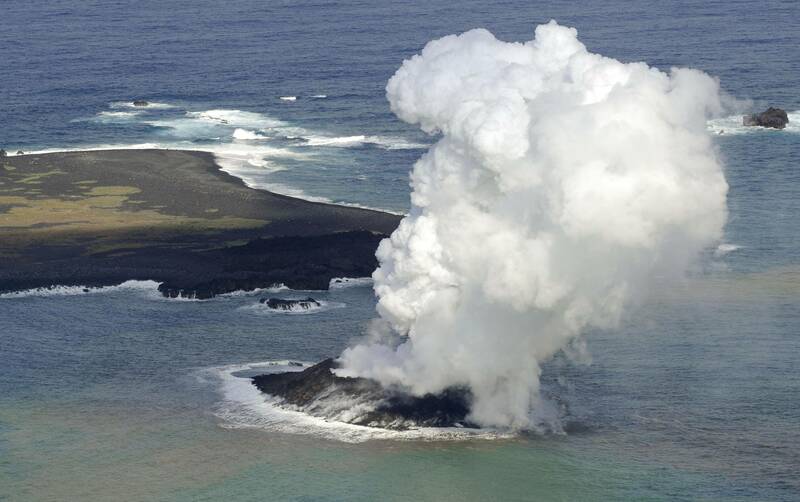 Because this necessarily involves viewing the creation from the perspective of an earthbound observer, it eliminates any rivalry between the Genesis account and objective scientific descriptions. There remain differences between the way we interpret the text from this vantage point in our book and the way Walton does in his book. Resolving these is a matter of appealing to the literary and linguistic data, as I hope I’ve done responsibly in this series of posts. But both his conclusions and ours grant those who hold a biblical faith in God as creator the freedom to explore the creation with all the scientific tools and analyses at our disposal. Does the Hebrew verb bara‘ mean “assign a function” rather than “create”? In this series of posts, I’ve been reviewing John Walton’s book The Lost World of Genesis One. After summarizing his interpretation of the Bible’s opening creation account in my first post, and discussing some concerns that his interpretation raises in my second post, I’d now like to address the issue that led a reader of Paradigms on Pilgrimage to call attention to Walton’s book in the first place. What precisely does the Hebrew verb bara‘ signify? The word is usually translated “create” in English. However, one of Walton’s crucial arguments to support the idea that Genesis presents an account of “functional origins” rather than “material origins” is that this word actually means to give something a function, rather than to bring something into existence materially. To support this claim, he surveys all fifty occurrences of bara‘ in the Hebrew Bible and concludes that “no clear example occurs that demands a material perspective for the verb, though many are ambiguous” (41). That is, in his view, many instances could describe either bringing about material existence or assigning a function. He adds in a footnote that “in a large percentage of the cases where the usage is ambiguous, a further explanation is offered that indicates a functional interest” (175–176). However, giving something a material existence out of functional interest, that is, so that it can fulfill a function, nevertheless constitutes a material creation. It’s not the same thing as assigning a function to an already-existing entity, which is the meaning required by Walton’s interpretation of Genesis as describing “days that concern origins of functions not material” (94). I personally find that many of the uses of bara’ that Walton lists fit the meaning of material creation quite well. For example, Psalm 104 describes how animals “die and return to dust,” but it then says to God, “You send your Spirit, they are created, and you renew the face of the ground.” This is certainly not a case of previously existing animals being assigned the function of renewing the ground, because the previous animals have died and decayed. So new animals are being brought into existence materially. And it’s not precisely their function to renew the ground; rather, this is a function that God fulfills by making them. But whatever the significance of bara‘ throughout the Bible (and the verb could indeed cover a range of meanings), we need to be most concerned with what it means in the Genesis account. As he makes his argument for a functional connotation there, Walton addresses the cases where it appears that things are being brought into existence materially. However, it seems to me that to do this, he actually departs from his commitment to read the text through the eyes of the ancient audience it was composed for. Walton acknowledges, for example, that “day two has a potentially material component,” the firmament (raqi‘a), that is, the dome of the sky. But, he argues, “No one believes there is actually something material there . . . If the account is material as well as functional then we find ourselves with the problem of trying to explain the material creation of something that does not exist” (93). Actually, everyone acknowledges that there is something material there: Earth has an atmosphere. While it’s gaseous, it’s still composed of matter (and so “material” in that sense), and it indeed provides a habitation for life on earth, by contrast with other planets that lack atmospheres. The fact that Genesis regards the sky as solid rather than gaseous can be attributed to its observational perspective. Walton grants that “raqi‘a had a meaning to Israelites as referring to a very specific object in their cosmic geography.” But he insists that “in the functional approach, this component of Old World science addresses the function of weather, described in terms that they would understand” (93–94). It seems to me that he actually slips into a “concordist” approach here: A detail that would have meant one thing to the original audience (the solid dome) is taken to represent something different from a modern scientific perspective (weather), and that is said to be its true meaning. I think it would be more consistent to say that when understood from the perspective of the original readers, the creation of the raqi‘a would indeed have constituted bringing something into existence materially. That being the case, Genesis was not for them strictly an account of functional origins. The same issue arises with Walton’s treatment of the creation of light on the first day. Noting that the text says that “God separated the light from the darkness,” he insists that “this statement does not make any sense if light and/or darkness are viewed as material objects . . . because by definition they cannot exist together in any meaningful scientific or material way” (54). However, the issue once again is not what sense the statement makes from a scientific perspective. We may well expect that an ancient reader could imagine all the light God made being “gathered together into one place” (or perhaps, more accurately, into one time), just as the waters were gathered together into one place on the next day. Walton encounters a similar problem with the creation of humans. He acknowledges that their creation appears to be material because the material from which they are made is actually specified—the dust of the earth. To address this difficulty, he draws a distinction between a “prototype” (“an original item that serves as a model for later production”) and an “archetype” (“a representative for all others in the class”). He then argues that “the fact that the ancient Near East uses the same sorts of materials to describe all of humanity indicates that the materials have archetypal significance.” Specifically in the case of Genesis, being made of dust “is an archetypal feature that describes us all.” It “therefore cannot be viewed as a material ingredient. It is indicative of human destiny and mortality, and therefore is a functional comment, not a material one” (69). Once more a pre-scientific detail of the text is being given a representative meaning. In this case there is a problem as well with the proposed functional connotation itself. Genesis depicts God forming humans from the dust of the earth before they became mortal and were destined to die. Even if returning to dust is indicative of mortality, being formed from dust in the first place cannot be a reference to that. There was no function in the original creation that humans were meant to fulfill by dying. Later in the book Walton seems to describe an actual material creation of humanity. He states that there was “substantive discontinuity” between “the creation of the historical Adam and Eve” and whatever processes brought about the elements that were already in existence when the Genesis account opens and are only assigned a function there. “Rather than cause-and-effect continuity, there is material and spiritual discontinuity” (138). If that is the case, then when God says, “Let us make mankind in our image,” God is certainly bringing something new into existence materially. If we instead see this statement as describing only functional origins—“let us give an already-existing pre-human hominid the function of bearing the image of God”—we have to admit that the Genesis account is misrepresenting how God actually made image-bearing humans, because it would be suggesting that this happened in a continuous rather than a discontinuous way. And if that is the case, then humans, along with light and the sky, are all depicted as material creations in the Genesis account. There is no reason, therefore, not to see everything else in the account as being brought into existence materially when God “creates” (bara‘) the heavens and the earth. In my final post in this series, I will reinforce this point by briefly examining the word ‘asa (“make”) in the Genesis account. I will then address a few remaining concerns and offer some general conclusions. The prototype for the Corvette, created in 1953, which served as a model for all later production. Were Adam and Eve “prototypes” for humanity—the beginning of all later production? Or does Genesis describe them simply as “archetypes,” as representative examples of their class? Author paradigmsonpilgrimagePosted on November 30, 2017 December 4, 2017 Categories Q&A/Follow-up3 Comments on Does the Hebrew verb bara‘ mean “assign a function” rather than “create”? Author paradigmsonpilgrimagePosted on November 30, 2017 December 6, 2017 Categories Q&A/Follow-up2 Comments on Is the Genesis creation account an anthropocentric “cosmic temple inauguration”? John Walton claims (and I agree) that God’s act of creating (Hebrew bara‘) consists of (in my words) starting with a pile of something and separating it into 2 piles with different functions. I see this as extremely close to the idea of speciation (where one species branches into two) in the theory of evolution. Walton’s book The Lost World of Genesis One was published four years after ours, so I didn’t have the opportunity to discuss it in the course of my review of various understandings of the opening creation account. I plan to do one or more posts about it once the original Paradigms on Pilgrimage finishes running. I think it does make a valuable contribution to the conversation. John Walton does appeal to a particular understanding of the meaning of the Hebrew word bara‘ to make the case for a new interpretation of the opening creation account in Genesis. However, the sense he finds in the word is not quite that of dividing something into two and giving each part a separate function. I’ll explore his understanding of the word in a later post, but let me begin here with some general observations. Walton’s analysis of the creation account in The Lost World overlaps in many ways with ours in Paradigms on Pilgrimage. He rejects a “concordist” approach that “seeks to give a modern scientific explanation for the details in the text” (14–15). Instead, he says we should work to understand the account the way an ancient reader would have. When we do, we recognize that the creation is being described from “the perspective of the earthbound observer” (60) and that the picture in Genesis corresponds with the ancient Near Eastern cosmology in which the biblical authors were immersed: The sky is a solid dome, through which a moving sun passes above a stationary earth, etc. Walton’s reading of Genesis is so much like ours, in fact, that he reaches many of the same conclusions we do. He insists, for example, that “by definition, empirical science is characterized by methodological naturalism, but once it begins propounding metaphysical naturalism, it has overstepped its disciplinary boundaries” (154). 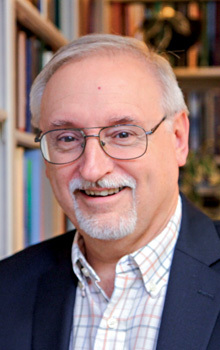 To argue for the valid conclusions of empirical science, he even appeals to the same “atheistic meteorology” analogy: “We believe that God controls the weather, yet we do not denounce meteorologists who produce their weather maps day to day based on the predictability of natural cause-and-effect processes. Can evolution be thought of in similar terms?” (135). Probably the most significant similarity between Walton’s book and ours is that we are each seeking to encourage and empower believing Christians who feel called to work as scientists. Walton writes of “young people who were raised in the environment of a biblical faith” who “began to pursue education and careers in the sciences and found themselves conflicted as they tried to sort out the claims of science and the claims of the faith they had been taught.” Many felt that they were forced to choose either to believe the Bible and reject scientific discoveries, or else to reject the Bible in light of science. “The good news is that we do not have to make such a choice,” Walton reassures his readers (95). This is essentially the bottom line in our own book, and so Walton is ultimately an ally and a kindred spirit when it comes to understanding and articulating the relationship of science and faith. That much said, however, there are significant differences between our interpretation of the Genesis creation account and his. Walton argues that this account is actually not a depiction of the material creation of the heavens and the earth. He does state, “I firmly believe that God is fully responsible for material origins” (42), but, he insists, “Genesis 1 is not that story” (95). Rather, “our affirmation of God’s creation of the material cosmos is supported by theological logic as well as by occasional New Testament references” (96). The Genesis account, by contrast, describes functional origins. Specifically, it recounts how things that were already in existence were given a particular function. Before the events described in Genesis, Walton says, “the material phase . . . could have been under development for long eras . . . There would be no reason to think that the sun had not been shining, plants had not been growing, or animals had not been present” (96–97). But, he writes, “These were like the rehearsals leading up to the performance of a play. The rehearsals are preparatory and necessary, but they are not the play. They find their meaning only when the audience is present.” (97). The “audience” that Walton has in mind is specifically human beings who have been “granted the image of God” and who can therefore serve him as “vice regents in the world that has been made for them” and as “priests” installed in the cosmos-as-temple so that God can be worshiped there. 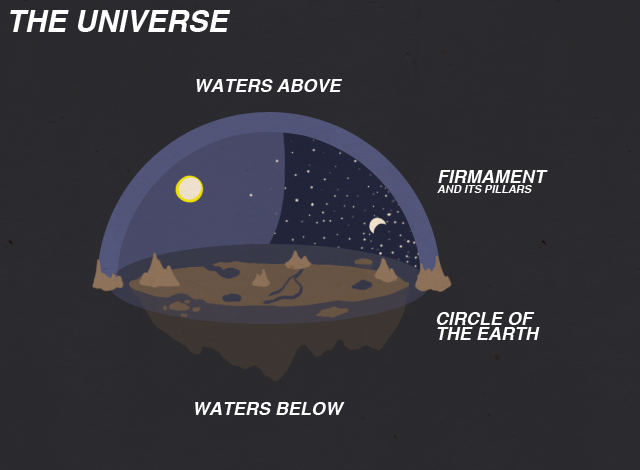 In other words, the “functional creation” that Walton sees depicted in Genesis is as follows: (1) specific elements are assigned the function of making human life possible (for example, the sun, moon, and stars mark off time); (2) humans receive the “image of God”; (3) God is enthroned in the temple of the cosmos. Walton therefore suggests that the whole account may be understood as a “cosmic temple inauguration” ceremony (86–87). However, he specifies that “in Genesis, creation is not set up for the benefit of God but for the benefit of humanity—an anthropocentric view” (68). He asserts that the elements are assigned “human-oriented functions” (63) because the stage is being set specifically for humans to be given the function of bearing God’s image. This is essentially “what happens” in the creation account: Things that already exist materially are purposed to support that function. Walton speculates that “animal life, primates, and even pre-human hominids” (138) might already have developed through “evolutionary processes,” but he insists that before the action described in Genesis, “humanity in God’s image” was still “lacking” (96). God then brought about fully human people, “though it remains difficult to articulate how God accomplished this” (138). Walton suggests that the Genesis creation account may actually have been used in worship, “as a liturgy to reenact (annually?) the inauguration of the cosmic temple” (98), and that if so, it may simply be offering a review of the arrangements that had already been made to support image-bearing humans, rather than a depiction of how these were first put in place. “The observer in Genesis 1 would see day by day that everything was ready to do for people what it had been designed to do. It would be like taking a campus tour just before the students were ready to arrive to see all the preparations that had been made and how everything had been designed, organized, and constructed to serve students” (98). In a later post I will explore the meaning of the Hebrew verb bara‘, because one of Walton’s crucial arguments for seeing Genesis as an account of “functional origins” rather than of “material origins” is that this word means to give something a function. However, before examining the case he makes for that meaning, in my next post I will investigate some concerns and questions that his overall interpretation raises. Young-Earth creationists are forced to claim that the overwhelming majority of fossils that appear to have been preserved in life position were actually not formed that way; they only appear to have been, as a serendipitous result of the vicissitudes of catastrophic burial during Noah’s Flood. That is a remarkable burden to bear. At the onset of the flood (one can only imagine, since there are no natural mechanisms with which to work), organisms in life position would have been scoured and picked up by the catastrophe in order to populate all the sediments that were created and subsequently deposited by the flood. (Presumably sediments that might have existed prior to the flood would have been devoid of fossils.) Any organic remains deposited during the flood could not be in life position, since the rate of sedimentary accumulation needed to satisfy the creationist claim that the vast majority of global sediments were laid down in one year is vastly too rapid for organisms to establish themselves in life position. For Noah’s Flood to have resulted in the formation of the fossil record, the only fossils that could be in life position would be those on the very bottom of the pile, or those at the very top, which would have reestablished themselves following the Deluge. (Creationists have not identified any such layers.) However, if you find just one fossil in life position (and all it takes is one) within a pile of sedimentary rock, what you then know is that the rate of sedimentation was slow enough (or no sediments were being deposited) so as not to interfere with that sessile organism for however long it lived at that level within the strata. Seeing fossils like the oysters I’ve described preserved in life position is a very simple yet powerful way to refute the claim made by young-Earth creationists that the fossil record is the result of a global Noah’s Flood. What these fossils prove instead is that there must have been a period of time, at a minimum equal to the age of the oyster reef, during which sedimentation rates were very low. That period of time during which those oysters were living in this one place far exceeds the total duration of Noah’s Flood as described by young-Earth creationists. Add to the age of the reef the age of all the other fossils in the cliffs that are found in life position and one quickly realizes that the Earth must be much much older than 6,000 years. Fossil clam shells of the genus Glossus sp., preserved in the sediments in which they lived. These clams occur just slightly above the fossil Pycnodonte oyster reef. Just like in modern marine environments, these clams lived in great numbers in this exact place for as long as environmental conditions were suitable. Any one of these clams lived here longer than the purported duration of Noah’s Flood. But an ancient Earth doesn’t “disprove” the Bible. Descriptions of nature and the “cosmos” in the Bible were adequate at that time to make the spiritual points, if any, for which they were called into service. However, biblical cosmology is no longer adequate today if taken to stand on its own, divorced from its contextual origin. Some would argue that because the cosmology of the Bible is out of date, so too is its spiritual validity. Its cosmology roots the composition of the Bible in a time and place; so yes, it is out of date in its descriptions of the Universe. But I don’t know that justice, mercy, forgiveness, hope, and love have been replaced with something better. An emphasis on these could not wait until humans had figured out the exact nature of reality (we’d still be waiting). The Bible never makes the claim that its descriptions of the physical universe are good for all peoples for all time, whereas it does make certain pronouncements about being a guide to whoever has an interest in being right with God. Dr. L. Ward (Virginia Museum of Natural History) provided great assistance with some of the geological features described in this series of posts.